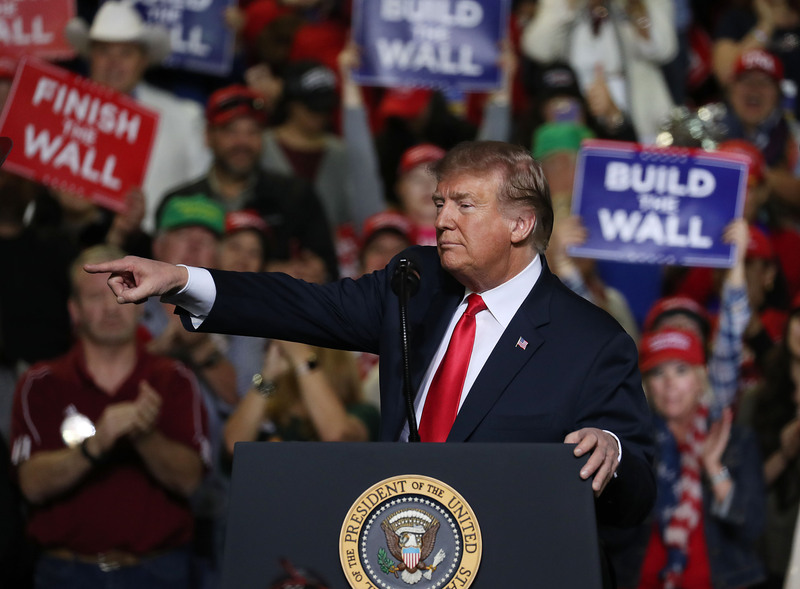 President Donald Trump’s 2020 re-election campaign to “Keep America Great” has already bagged $100 million as it builds out the regiment needed to win a second term. “We are on track to outpace our 2016 numbers by many multiples,” Trump campaign manager Brad Parscale said, The Washington Post reported Sunday. “We are creating the largest campaign operation in American history.” Campaign headquarters are in Arlington, Virginia, and a 10-person war room at the Republican National Committee (RNC) has been established, according to the article. Trump’s messaging themes are expected to stay the course, including illegal immigration, “America First” trade policy and draining the swamp. Major campaign expansions include a robust get-out-the-vote effort and big data apparatus, two areas criticized during the 2016 campaign. The Trump team plans to exploit what it sees as an extreme move left by Democrats, talking up specific policies like the New Green Deal, late-term abortion and Medicare for all. Strategic geography is set to target 23 million in key swing vote states such as Florida, Ohio, Michigan and Wisconsin, according to the Post article. Of critical priority to the campaign, a national team to combat “fake news” is already in place to negotiate what is anticipated to be an onslaught of negative press throughout election season. Additionally, Trump’s official super PAC, America First Action, is gearing up to reel in between $300 to $400 million the political action committee thinks will be needed to get through primary candidates and a grueling general election. The campaign plans to enlist the help of more than 1 million Trump rally attendees.